If you have a page that can be accessed through several URLs, or different pages with similar content (for example, a page with a mobile version and another for computers), Google considers them duplicate versions of the same page. 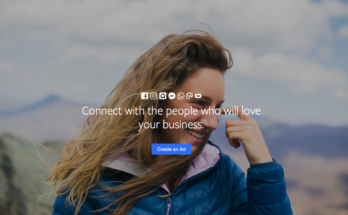 Therefore, it will choose a URL as a canonical version, which is the one that will be tracked, and will consider that the other URLs are duplicates, so it will track them less frequently. If you do not explicitly indicate which URL is the canonical one, Google will select it for you, although you may consider that they all have the same importance, which could generate unwanted behaviour, as explained in the section why should I choose a URL canonical? What is My canonical URL according to Google? You can see which page Google considers canonical with the URL inspection tool. 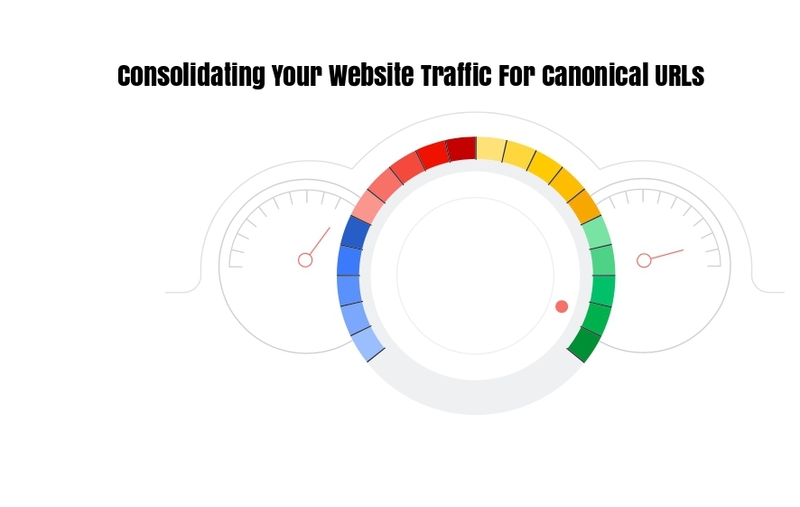 Keep in mind that, even if you specifically select a canonical page, Google can choose a different one from yours for several reasons, such as performance or content. When And How Should You Use Canonical URLs? You must resort to the canonization of URLs when you have several pages with the same content (or very similar) but you want to boost one over the others. If you are working, for example, with a series of keywords, but it turns out that you have created content focused on those keywords on several pages and, in fact, have similar content, which page is the most relevant? How can Google know? I assure you it will not be by magic! And it is just there where your SEO Web positioning plan falls apart, because the pages hinder SEO among them, you lower your ranking, you lose traffic and you can be crossed out as a poor quality website. So, do you have to delete the pages? Do not; its right there where you resort to canonization! Yes, try to have weight differences between each page; that they are not faithful and exact copies of one another since then it will be more complicated to avoid the penalty of content duplicated by Google. In current version of webmaster some of the website traffic is attributed to alternate property and some to your canonical property, but in the updated version of webmaster all data can be consolidated to the canonical property, as shown in below image. 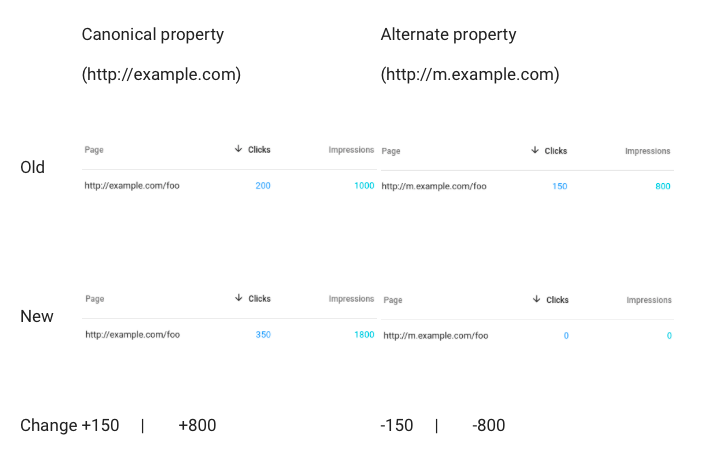 As we can see the difference in below image old webmaster hold separate attribute for canonical property and alternative property and new updated version every thing is consolidated at one place canonical property. 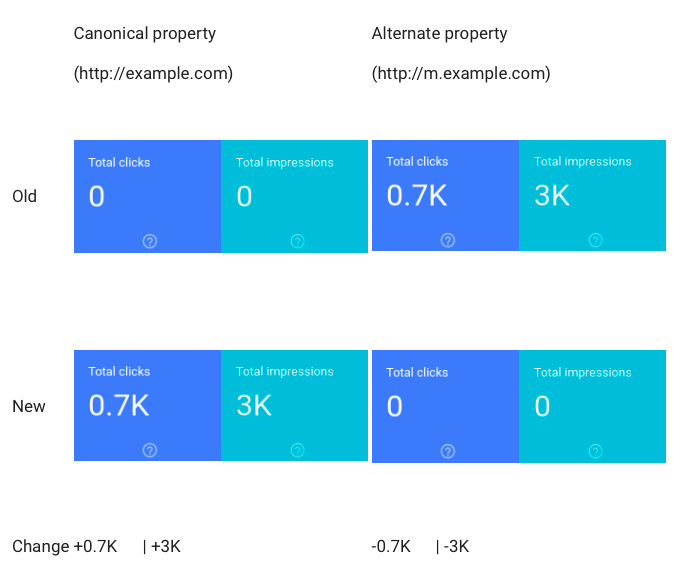 In Current webmaster whole mobile traffic attribute is consolidated to m. property, but in the updated version attribute traffic to you canonical property as shown in image below. Now, when Google detects your Web and discovers that you have, to say something, about five different pages for the search of ‘sale of evening dresses’, do you think it will show the user those five pages of yours? Not that Google did not have more things to do! When much will show only two, if you’re in luck. And this is precisely why you must canonize your pages, so that when they are detected (two, ten or fifty) they all lead to a single main page, a canonical page that warns the searcher that the content is not copied or duplicated, but rather that it is the main page, the mother page. 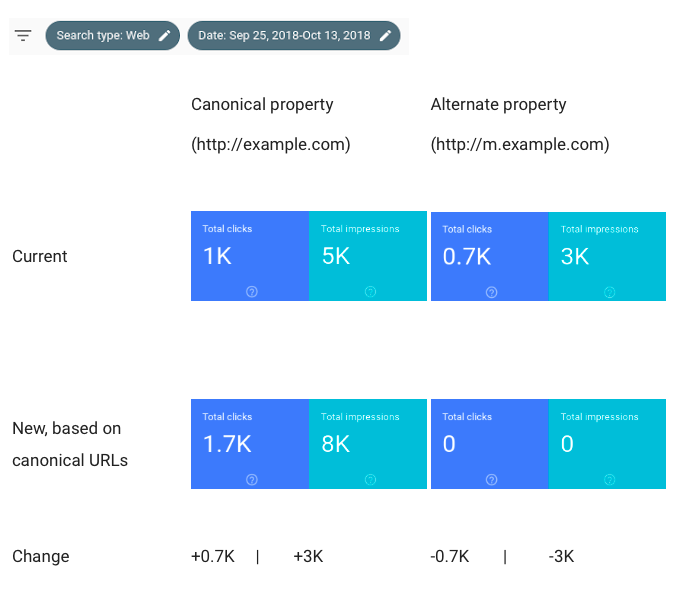 How Canonical URLs affect SEO? Making use of the canonical URL will make your website more likely to be visualized, be indexed in the correct way and achieve a better classification by the search engine, as you will be helping to locate the best content on your website and, in addition, you will be guaranteed a better user experience, something that will undoubtedly make you score points in your rankings. When Can You Canonize Your URLs? This is the million dollar question! Although at this point of the post you should already be able to give a clear answer, with all that I have been telling you about the canonical URL or canonical URL, in English, I answer in a summarized way. The canonical URLs appeared precisely to be able to solve the problem of similar or duplicate content, so this is the main reason to canonize URL. 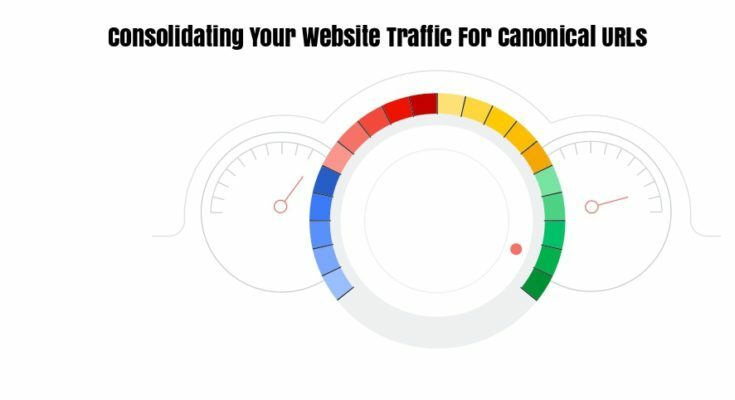 Check the pages of your website and evaluate which ones have the same information or almost identical information so that the canonices and gather all the SEO potential in a single page.